A Peoples Democratic Party (PDP) chieftain and former Minister of Niger Delta Affairs Godsday Orubebe, has urged the party to embrace urgent reforms to prevent its demise. 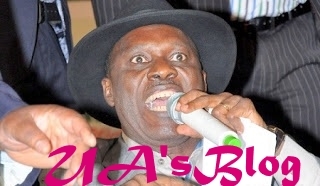 Orubebe noted that imposition, impunity, arrogance and greed were responsible for the party’s electoral defeat in 2015, stressing that the crisis rocking the platform was compounded by the mishandling of its last national convention. The party stalwart, who caused a stir during the collation of the 2015 presidential election results by the Independent National Electoral Commission (INEC) in Abuja, said the PDP would need vigour, courage and sustainable ideas to bounce back to reckoning. In an open letter to the PDP National Chairman, Prince Uche Secondus, published in this edition, the former minister said the party must accept that it made mistakes while in power for 16 years. In Orubebe’s reckoning, the PDP had regressed to the same imposition, impunity, arrogance and greed that heralded its electoral misfortune, adding that its leaders are not building a culture of democratic representation. The former minister said unless the grandstanding and imposition gave way to a healthy competition, the party could avert a looming doom. He said the party should be liberated from the jaw of its exclusive funders, who have held it hostage. Orubebe said: One of the biggest challenges that the PDP faces is balancing its needs for funding with established egalitarian values and internal systems. If the party continues to be held hostage by few major donors, it will continue to find it difficult to instil the values that will endear us Nigerians. Urging the party leadership to embrace reforms, Orubebe said the leadership should re-organise to break down the silos of loyalty and allegiance within the party.